Andover was incorporated as the 146th town in Connecticut in May, 1848. It's lands were taken from the towns of Hebron and Coventry. 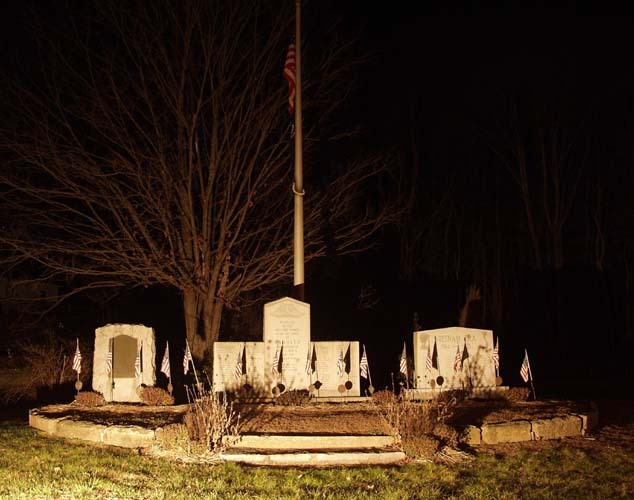 It is the southern most town in Tolland County. Elevations in the town vary from 250 feet above sea level at the town line at Parker Bridge to 740 feet at the town line on Burnt Hill. Andover is about 15.6 square miles in area with a perimeter of 16.5 miles. Most of the town is in the northern part of the Hop River valley. Virtually all of the water that falls on Andover that is not evaporated or absorbed flows into the Hop River. The Hop River flows into the Willimantic, which joins the Shetucket, which flows into the Thames, which then empties into Long Island Sound. The name "Hop River" most likely comes from the Old English where Hop was the name for a narrow valley closed at the upper end. Thus the Hop River is the river in the Hop. The Climate is typical of all southern New England. Low temperatures during winter can easily reach -10 degrees F, while temperatures of 100+ degrees in the summer time are all to common. Settlement of the area began in the early 1700's. By 1747 there were enough homesteads in the area to support an ecclesiastical society. The ecclesiastical society boarders were the ones used 101 year later for the town. 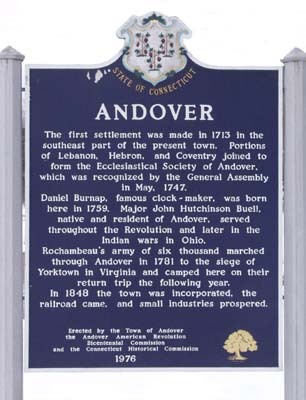 At the time of Andover's incorporation as a town, it's population was about 500. Today (2001) the population is 3,081 people, with a median age of 36. The town has 1,159 housing units with 93% of them being single family dwellings.